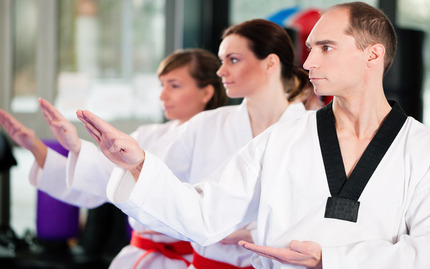 Martial arts training may have you confident that you can take an unarmed assailant, but what do you do when someone brings a knife to a fist fight? This weapons training course will teach you the art of defending yourself against weapons-based attacks, as well as how to use weapons to gain the advantage. You'll work with sticks, staffs, knives, and even swords, learning to block and strike in a variety of situational drills and exercises. You'll also learn how to best defend yourself against a gun attack should the unthinkable ever occur. It's good to be confident. It's better to be prepared. Note: This is a free trial class for first time attendees only.